Phrase work is designed for advanced dancers. However, if you are willing to dive in, modify material, and care for your body, you are welcome regardless of experience. This release-technique movement practice is an energetic exploration of movement from the inside out. 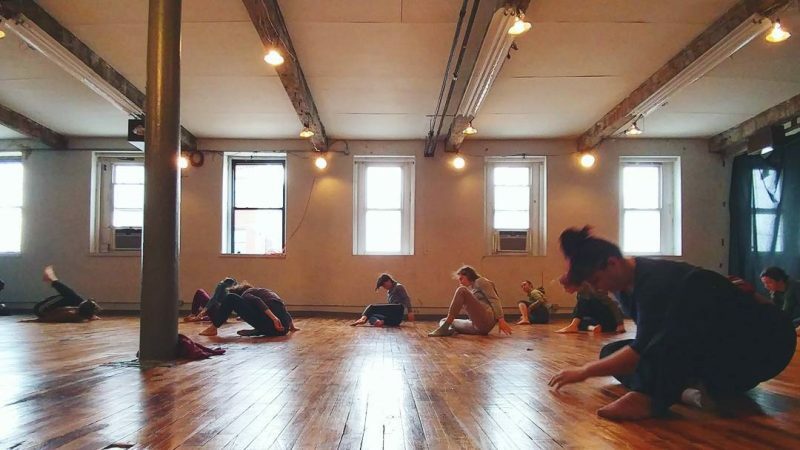 Drawing from Kline Technique, Safety Release Technique, and release technique, emphasis is placed on the initiation of the movement and the path the various body parts take in space to discover how one’s own body moves within the movement. We embrace the space through phrases that move in and out of the floor and carry us in and out of balance. Class ebbs and flows between simple movement patterns and complex sequences and culminates in a dynamic phrase. Sleeves and knee-pads or long pants are recommended. Katherine strives to cultivate a space for taking risks, making mistakes, and honing craft. She is passionate and curious about the layers of political philosophy and culture embedded in release-technique as well as the historical evolution of modern/postmodern/contemporary dance. Katherine enjoys finding different ways to unearth and explore these layers within the framework of a release-technique class.